Sharpie makes permanent markers, but permanent never really means permanent. 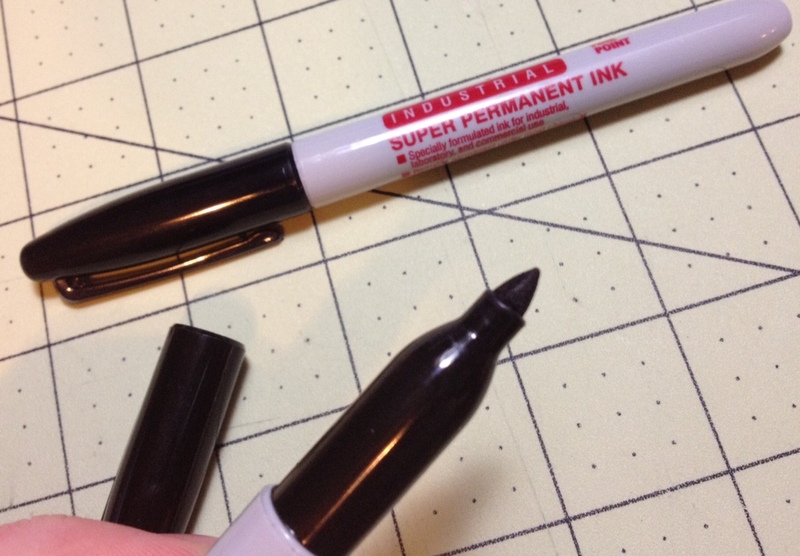 Of course there are ways to remove traditional Sharpie ink, especially since it, like many modern inks, is alcohol based. 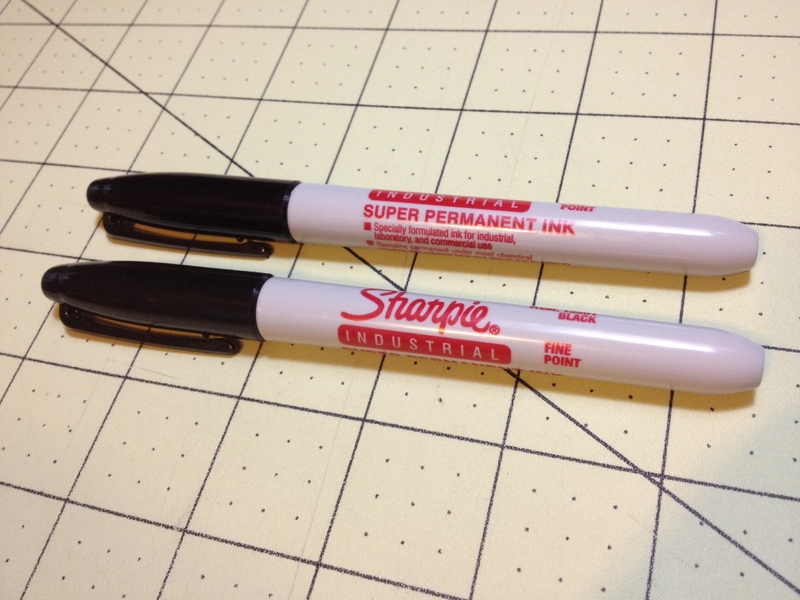 So, in order to keep up with their permanent image Sharpie came up with its “Industrial” version. How permanent is it compared to the regular version? Let’s see. The body is virtually identical to that of a regular Sharpie, except for the information printed on it, which has been changed to reflect the more permanent nature and is in red. As far as writing on regular paper goes, it is a bit warmer than standard Sharpie ink, but not really any less or more black. The difference is barely noticeable. Also, like a regular Sharpie, it will not write on wet surfaces. But on to the permanence. I tested the ink on a piece of galvanized steel by making a small mark, letting it dry, and then applying pretty much anything I could think of that might clean it off. It held up remarkably well, but it was mostly resistant, and not fully “anything-proof”. By the end of my test the mark was quite faded but still readable, and it had withstood: water, fire, isopropyl alcohol, bleach, WD-40, ammonia, acetone, De-Solv-It (citrus based gunk remover), Lysol, Gojo hand cleaner (for grease and tar), dry cleaning fluid (because I couldn’t throw the kitchen sink at it), lighter fluid, paint thinner (mineral spirits), and gasoline. So I checked online and in several reviews people said that in laboratory settings the alcohol used would take the marker right off. So I went and attacked it with some denatured alcohol, and sure enough it broke it down to the most pale of lines possible, but it still wasn’t gone. 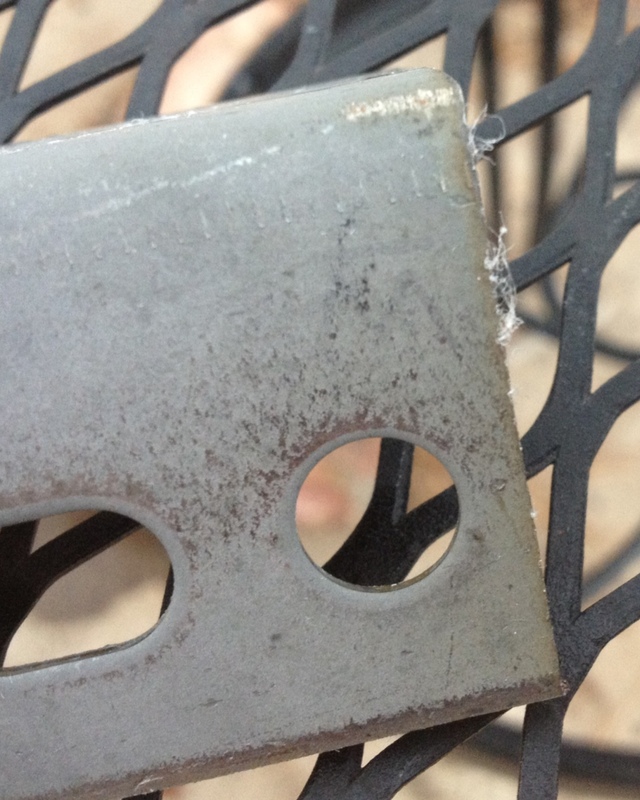 So I tested on some other materials and another piece of galvanized steel. On plastic, the denatured alcohol removed it with very little problem. On aluminum it was also met with little resistance. On a tuna can (which could be either tin, steel, aluminum or a mixture) it was a little tougher but almost all of it was removed eventually. But, finally, on a galvanized trashcan the alcohol met its match, reducing it to a very faded line but it was still unable to remove it entirely. So there is likely some chemical that bonds directly to or gets through the galvanization on such materials. All of this stands to reason. Modern inks are mostly made from an alcohol-based dye solution. This makes them dry faster and essentially water resistant, unlike their former water-based fountain pen ink relatives. But they still fall short of pigment-based inks on permanence, especially when it comes to alcohol, which in many cases will clean up both ballpoint ink and (permanent) marker ink by reactivating it for a short amount of time. Virtually any ink (but not all) will smear, bleed, or be removed when its base is reintroduced. But that’s why we have different bases in the first place. In specific settings where large amounts of chemicals are continuously applied to surfaces, especially alcohol, these markers won’t work. But there are specialty markers made for work like that. As a general purpose marker that is meant to be used in tasks that are more demanding than standard household ones it works quite well. It does outperform the regular Sharpie and would work sufficiently well for many workplace or “industrial” tasks, but testing may be required before using it on the job.